This page shows a selection of projects from the Ultimate Design Portfolio. 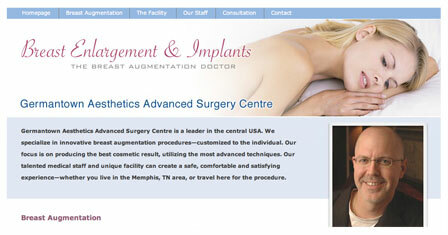 Call us today at 901.313.4160 to schedule your free consultation or to request more information. Provisioning of a website in a content management system with newsletter sign-up features. 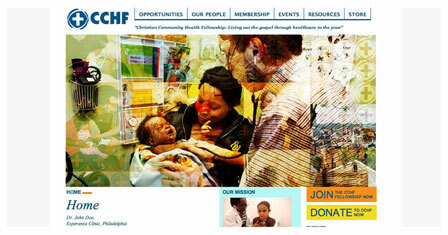 The site also includes custom PHP coding to allow site visitors to search for preceptorship opportunities. 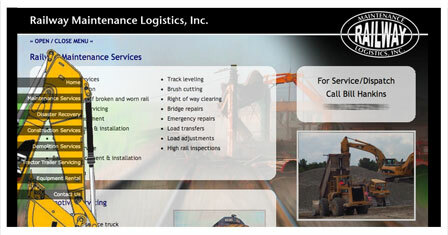 Railway Maintenance offer a wide range of Railroad and other related services. They asked us to to create a site with an animated digger arm. The navigation, as part of the digger arm, slides out as a floating layer when selected allowing a site visitor to navigate the site. 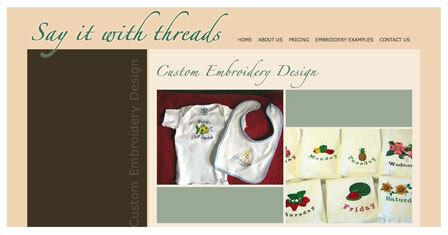 A site designed to showcase the portfolio of Say It With Threads, a Southaven, MS based embroidery company. 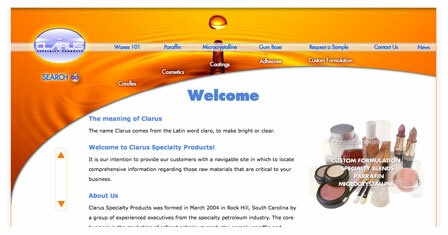 Clarus Specialty Products asked us to build a database driven interactive thermometer, so that site visitors could select wax products within a particular melt range. 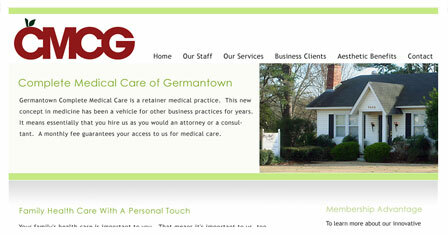 In addition, Ultimate Design also coded this site in XHTML+CSS. 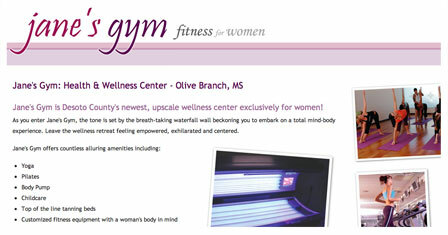 Jane's Gym in Olive Branch asked us to design a website to reflect the aesthetic appeal of the gym and to promote the all new gym for women. 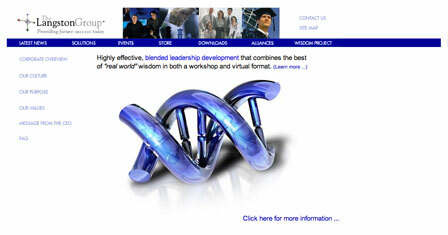 The Langston Group are providers of leadership development tools and seminars. 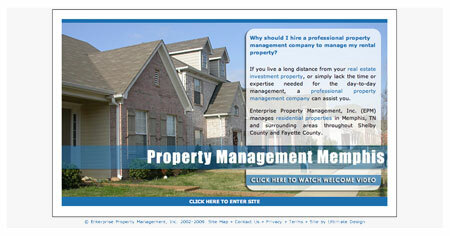 We were commissioned to build several online Interactive tools including coding of this website. Ultimate Design was hired to reinvent the identity of Enterprise Property Management and to develop a whole new website for displaying and promoting their rental properties. 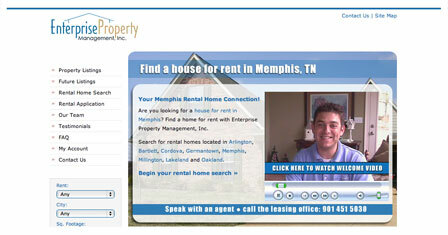 Our SEO campaign has gained them the title of reaching the most potential tenants in the Memphis market. 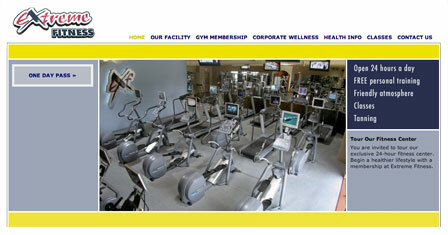 A website to promote and display the fitness center at Extreme Fitness. 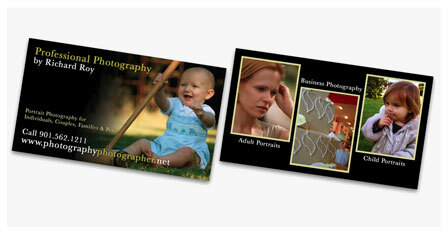 This website includes a custom image gallery. We were asked to develop a fresh new look for Medical Business Solutions and to develop a site that they could make changes/updates to. 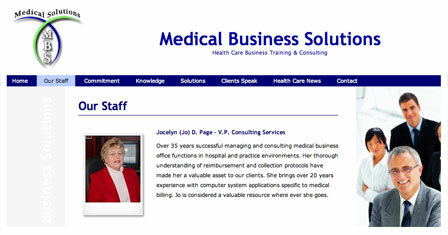 This site was built into a web based content management system. 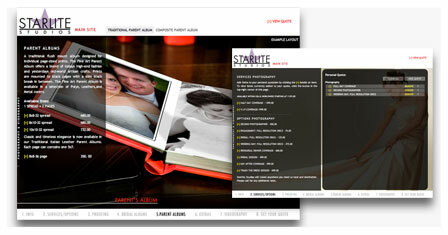 Wedding Photography & Videography Company Starlite Studios, asked us to build a custom quote builder that would allow site visitors the ability to select services to build their own customized quote. This uses Web 2.0 technology and functions in a similar way to a shoppign cart. 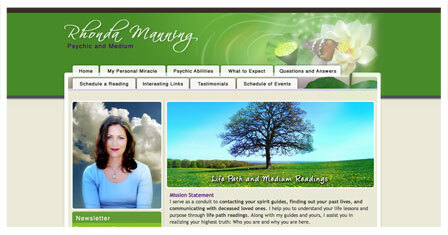 Rhonda Manning hired us to review and optimize her site. 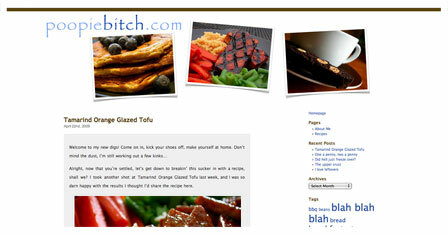 The page titles, page code and images were each optimized to improve keyword relevance and overall site load time. A site focused specifically for the Owner/Inverstor. We were hired to make this site a reality and handle an SEO campaign to make the site prominent site in search engine results. We were also hired to shoot a welcome video. 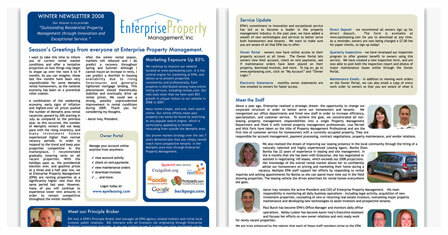 Design, layout and editorial of a quarterly newsletter for a real estate property management company. 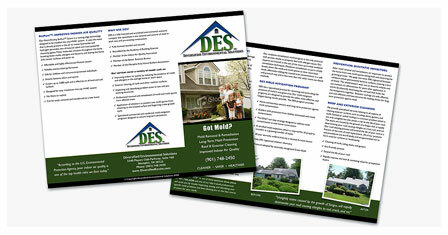 This full color, 2 sided newsletter was designed to follow existing company brand. 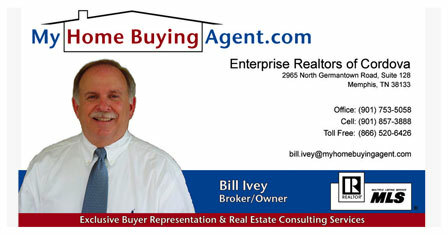 We were comissioned to develop a logo and brand for Enterprise Realtors of Cordova. 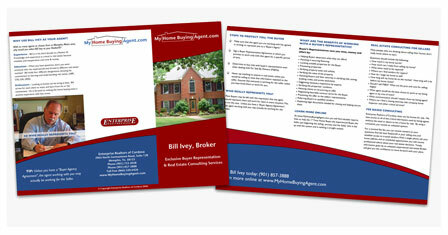 This full color, tri-fold brochure was designed using the brand to provide information about services to seminar attendees and other home buyers. 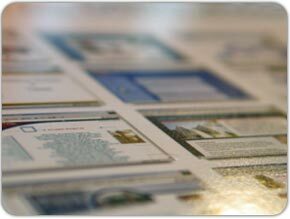 Brand development and the design of a full color, 2 sided business card. This full color, tri-fold brochure was designed using an existing logo, and a brand was developed around it to display information about products and services offered by this mold abaitment company. 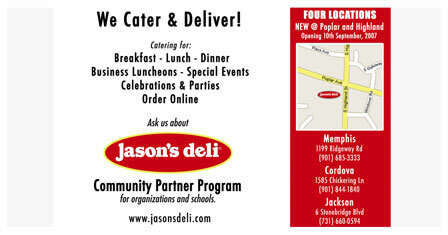 Design and layout of an Ad that features the launch of a new store.